I’m almost through my February books and….they haven’t been quite what I was hoping. But, I’ve got two more to go and fingers crossed they pan out better. I’m still on the lookout for my first 5 star book of 2019! Episode 4 of the Sarah’s Book Shelves Live podcast came out last week! Tina of TBR, Etc. shared her book recommendations, we discussed #bookstagram and compared our reading tastes. Episode 5, featuring Renee from It’s Book Talk (Mystery / Thriller Recommendations) is coming on Wednesday! 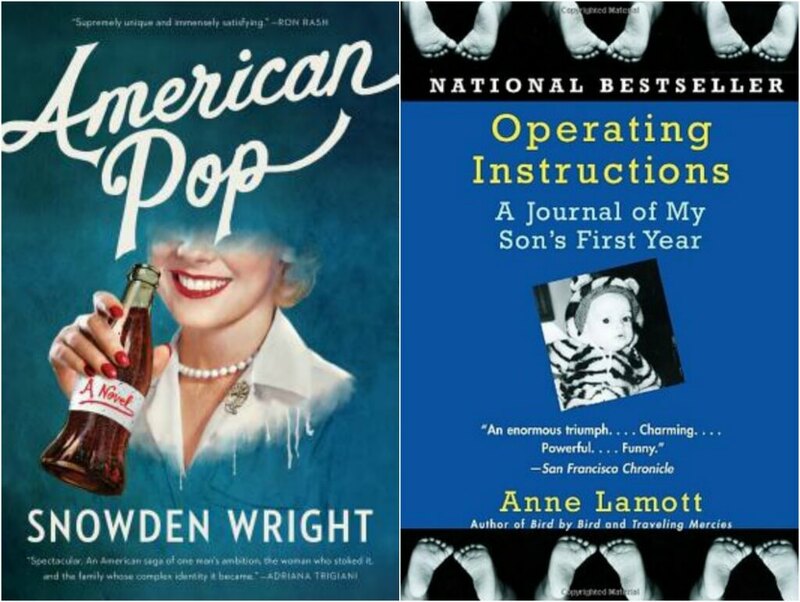 Readers Recommend: Anne from Canada…and her “didn’t love” is a VERY popular book! 2019 Rock Your Reading Tracker – I used my “Rock Your Reading Tracker” this year to track all my reading stats in real time and figure out who my best recommendation sources are…and, my reading QUALITY improved 42% from last year! The new and improved 2019 tracker is now available for $14.99…get more details here! This one was hit and miss, but overall more hit than miss. He packed A LOT into this story and I think it could’ve used some more editing. But, I was definitely interested in what was going to happen with this family…and a lot does happen. Mini Review to come. When I posted about how I loved Lamott’s Bird by Bird , a blog reader recommended her memoir of her first year as a single mother with her son. It’s raw and honest and a great listen for anyone who doesn’t think motherhood is easy (i.e. me!). I’m halfway through this debut novel and it’s so far more The Mothers than An American Marriage (the two books it’s been compared to). If it continues at its current pace, it’ll be a 4 star read for me. 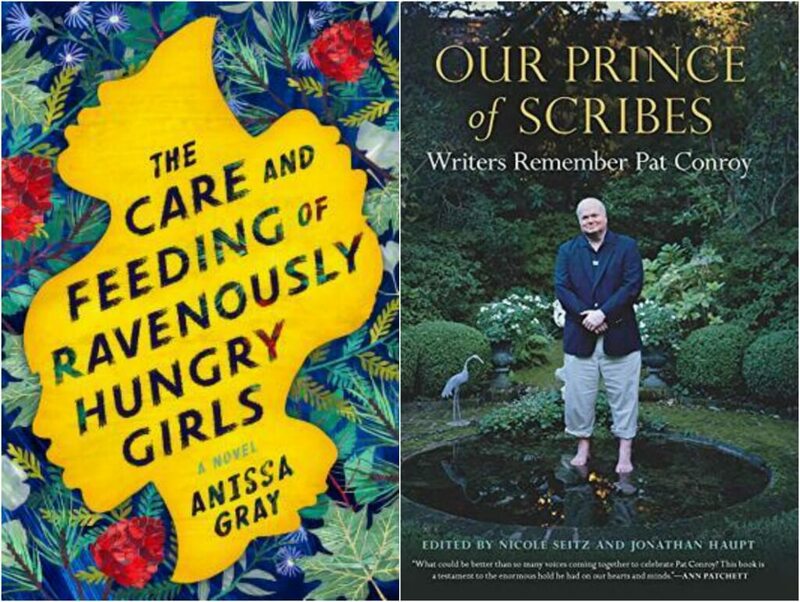 I’m slowly working my way through this collection of essays by friends, family, and fellow authors remembering Pat Conroy, my all-time favorite author. I read one essay every night and I just love hearing as much as I can about him. Plus, it’s a nice, comforting way to end the day. I’ll be reading this one for awhile. Georgia Hunter (author of We Were the Lucky Ones) recommended this debut historical fiction about the real life relationship between model turned photographer Lee Miller and the artist Man Ray in Episode 1 of the Sarah’s Book Shelves Live podcast….and she blurbed it! 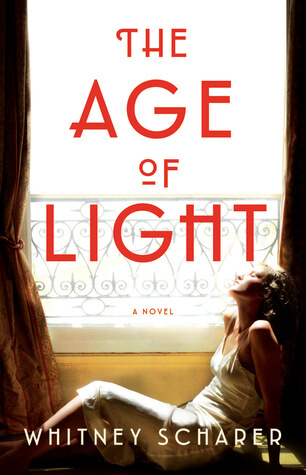 I love stories about real life couples where the woman is looking for an identity of her own and this The Age of Light apparently addresses those themes. One Year Ago: I’d just read one of my favorite books of last year! Two Years Ago: I was in a bit of a slump. My February has been packed too and I’ve read some good books, but nothing blowing me away yet! The Age of Light just might be your first 5 star read. It’s my top book so far this year. I’m a little disappointed to hear that The Care and Feeding isn’t going to be a five star read. I was really hoping for that. Depending on who narrates, I may listen to that one. YES! So glad to hear that! Hmm – Care and Feeding is definitely quieter…wonder if that would work for you on audio? Really looking forward to Care and Feeding, hope you end up loving it! The Age of Light looks good…and so does Our Prince of Scribes. All of your books are new to me and a few sound intriguing. I can understand setting a book aside because it wasn’t what you were in the mood for. I’m in the mood for a re-read and thus am finding what I’m currently reading less than intriguing. Come see my week here. Happy reading! It’s good to have a book you can just read a little each night from. Pat Conroy was such an outstanding author. Our Prince of Scribes sounds wonderful! This is the first I’ve heard of it. Haha, great photo. I love skiing, but reading in a hot tub would be fun. I hope you find your first 5-star book soon! Becoming was a 5 Star read for me. And now I’m reading Inheritance by Dani Shapiro – a memoir that I’m finding absolutely riveting! I think it’ll be a 5 Star read – I’ll definitely be ordering it for my store which is how I measure! I’ve actually read The Age of Light – super interesting but quite racey in parts, which bothering me a bit. Be prepared for it and you don’t mind that I think you’ll love it. I’m trying to fit in Inheritance as soon as possible! I need to finish up Feb books and my March is pretty light, so I’ll work it in then. Yeah – I do think it won’t appeal to certain people with a unicorns and rainbows view of parenthood. But, I definitely didn’t have that and 100% appreciated her honesty in talking about a viewpoint of motherhood that society frowns upon sometimes.